Eat as a snack or trail mix. Ideal for use desserts – including raw desserts – or eaten with fresh fruit, oats (make your own muesli) or porridge for breakfast. It can also be ground up in a smoothie or substituted in the place of LSA (linseeds, sunflowers and almonds ground). The organic pepitas and almonds are soaked in water until they begin to sprout. They are then dehydrated at low temperatures (below 45°C) until they are about 10-15% lighter and really really crunchy. Goji berries and cacao nibs are then added for extra nutrition, flavour and texture. This scroggin mix is packed full of nutrients including most of the essential vitamins and minerals. It is also high in dietary fibre (making it filling) and high quality protein (for long lasting energy). Goji berries and cacao nibs are also packed full of anti-oxdants to keep your body strong against the stresses of life. 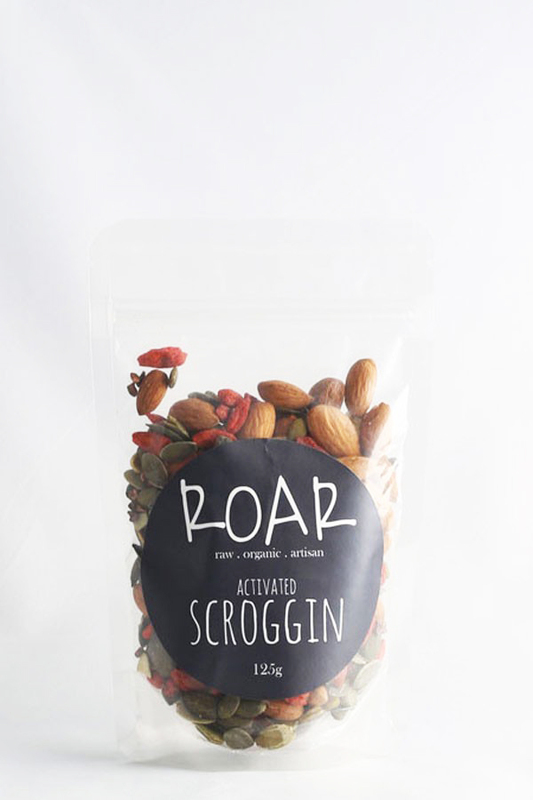 ROAR superfood Scroggin contains activated nuts and seeds, which have been sprouted and dehydrated (below 47°C) to make them raw, digestible, delectable, crunchy and oh so moreish! 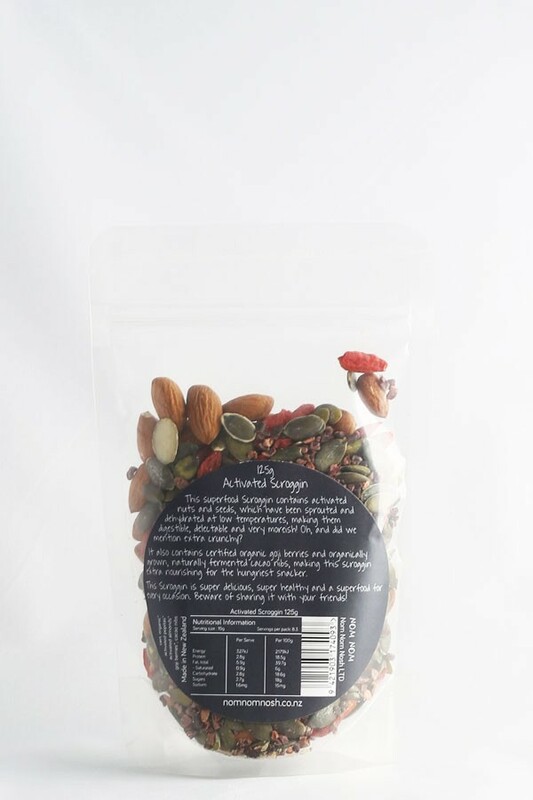 Our Activated Scroggin is also bursting with sweet goji berries and cacao nibs, making this super-charged trail mix über nourishing for even the hungriest snackers. Perfect as a nutritious snack for happy campers or simply sprinkled over brekkies, smoothies and desserts to super-charge your day.